Ìn the Demonstration Showcase, a prototype of a measuring device or a beta version of your new software is shown. Measuring Behavior is the perfect forum for developers and inventors to get feedback from colleagues and potential users. Demonstrations can be of new commercial products, but the focus must be on the technical, not commercial aspects. Demonstrations normally last 1/2 hour. There will be an award for the best demonstration. Demonstrations take place either adjacent to a related poster or in a seminar room. Automated assessment of animal health and wellbeing (Berry M. Spruijt (Utrecht University), Lucas Noldus (Noldus Information Technology), Raymond de Heer (Delta Phenomics), Dag Hovden (TeleMetronics Biomedical), Marco Hooijer (Metris) and Suzanne Peters (Delta Phenomics). 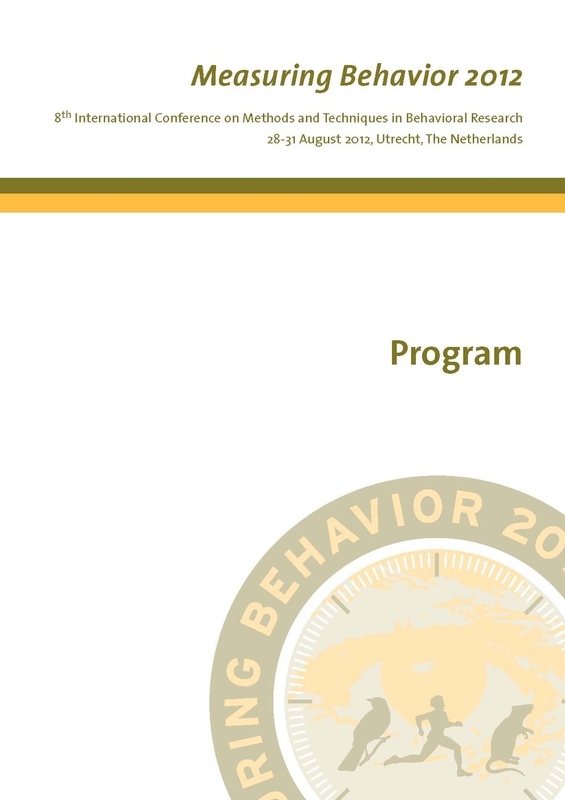 This presentation is not in the Program Book, and will take place in Room A at 14:00 on Friday. More info.